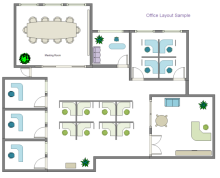 Floor plans are useful in planning space and furniture arrangement for rooms and houses. View more benefits for floor plans. Floor plan gives you a bird's-eye view of a building. 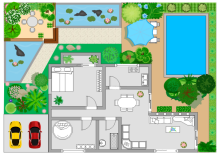 It's a scaled diagram of a room or house or building as drawn by a house designer or architect. It presents the relationship between rooms, furniture, spaces and shows the measurements (called dimension lines) for how long things are in real life. Floor plan turns your ideas into visuals, so that you will be clear on what needs to be done and how it will come out in the end. The blueprint is your approved scope of work and guide. It makes it easier to make adjustments before acting on the design. It reduces hassles and ensures the project completed successfully. Creating a floor plan can also aid in the decision-making process for choosing and purchasing materials. It helps visualize what the end result will be like, so that you can evaluate ahead of time and make revisions if necessary. Having an accurate floor plan with measurements, you can decide what furniture you want to use, and how each one will fit into position. 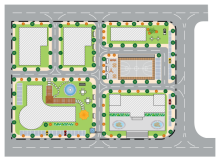 Floor plans are crucial for real estate agencies to communicate the flow of space to potential buyers or renters. You don't have to login your user name and password to get started each time. Floor plan lets you plan your house better. 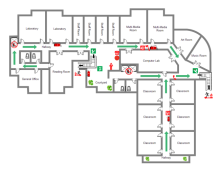 Floor plan helps you communicate your ideas with the decoration workers. 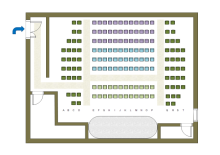 Floor plans help display the house layout, plan office seating, show fire and evacuation routes, etc. 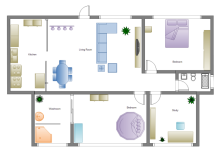 See the basic floor plan types and examples. Download a free trial version now!